The Range Riders Museum was built on the site of the 1876 Fort Keogh cantonment and was opened in August of 1942. This privately financed museum is located on the site where General Nelson A. Miles constructed Cantonment #1 to secure the area in the aftermath of the Custer Battle. The Range Riders Organization was founded in 1939 by a group of cowboy-stockmen who wanted the area's history preserved. They started the museum so the following generations would know who they were, what they were, what they did, and what they used. The museum has grown in 74 years to include thirteen buildings that house thousands of artefact's commonly found in the area. It portrays the authentic personality of men and women during the most difficult time in the life of a pioneer. It's the largest western museum in the area. The hub of the complex is the original log building completed in 1942. 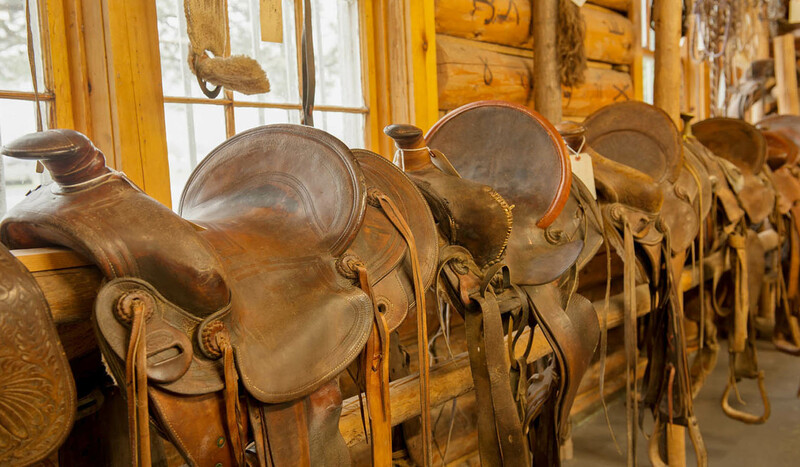 It has a wealth of displays including pictures of early day settlers, the famed Coggshall saddle, ladies' side saddles, antiquated cameras, patchwork quilts, and household utensils. Immediately adjacent is the Pioneer Memorial Hall with over 700 plaques commemorating the region's pioneers. Vast historic records are found in the stories of these people. Honoring these pioneers is the museum's tradition. The Bert Clark Gun Collection features over 400 firearms. The Fort Keogh Officers' Quarters, Coach House, Homestead House, and One-Room School are full of donated artefact's. Many other special exhibits are displayed in the Heritage Center and Coach House: works of four early photographers (Huffman, Morrison, Jody Cameron and Barthelmess), a frontier town with eleven different shops presenting a rendition of Old Main Street in Milestown, and Indian artefact's from the region representing Sioux, Cheyenne, and Crow tribes. Exhibits also include the Charles Russell Gallery, Carol's Hattery, Lame Deer and L.O. Ranch replicas, and Milwaukee shops replicas, and three large reproductions of early military, Indian and ranch life. Charley's place houses picture of 400 nurses who graduated from Holy Rosary Nursing School between 1910 and 1960, the Masterson Art Gallery, and other displays. The Range Riders Museum is located off the west end of Main Street in Miles City. After you cross the Tongue River bridge the museum will be on your right. Highway 10 and 12.The Range Riders Museum is located off the west end of Main Street in Miles City. After you cross the Tongue River bridge the museum will be on your right. Highway 10 and 12.